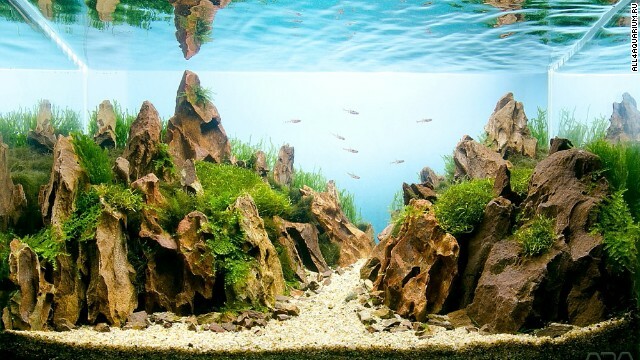 "Aquascapers" are people who create magical undersea landscapes in large fish tanks. 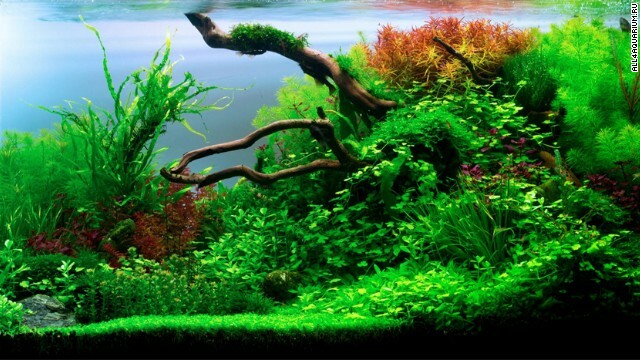 This aquascape from a Turkish enthusiast won first place in the Planted Aquarium Design Contest in 2013. It contains 150 liters of water and is pictured after four months of growth. 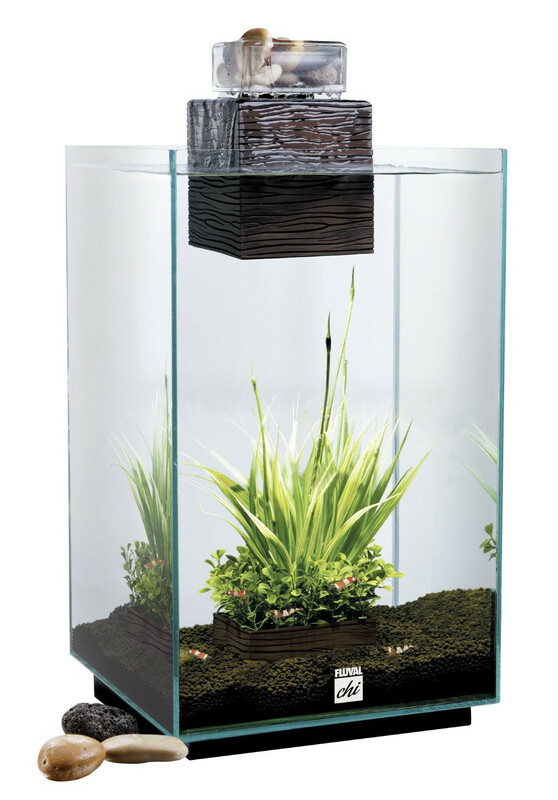 At a minimum it takes an aquascape four to six months to mature. For more elaborate designs with slow-growing plants, the process can take up to a year. 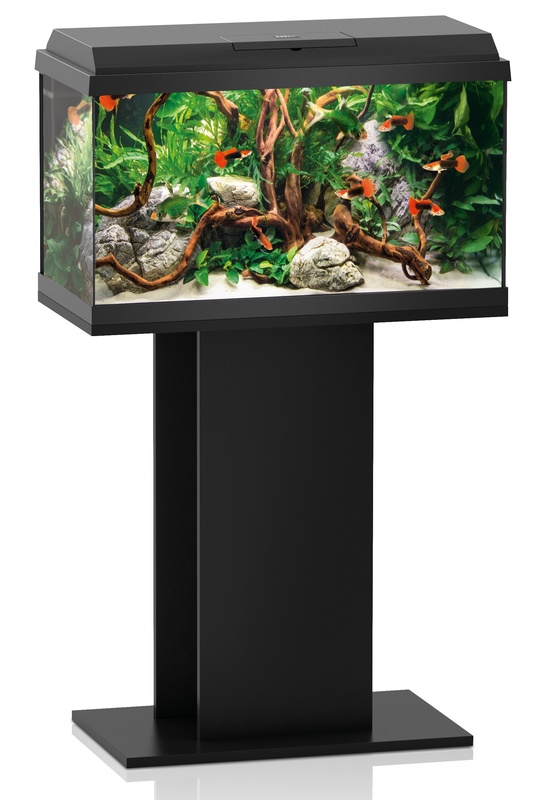 This Russian aquascape includes 17 types of plants and two species of tropical fish. 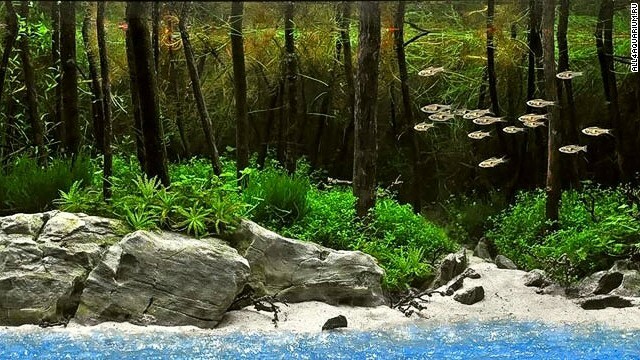 This aquarium by a Russian aquascaper is meant to recreate the Russian taiga. 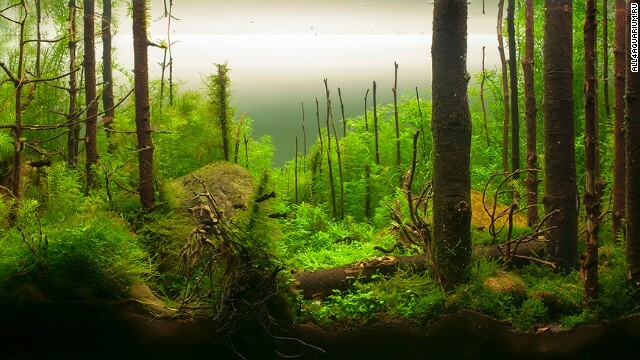 A judge at the International Planted Aquarium Design Contest praised it in these terms: "It looks so realistic: dead and fallen trees, green dense carpet of mosses and ferns, big anthills, rocks left there by glacier..." In this aquascape by Hungarian enthusiast Melinda Koncsik, water seems to transform into the sky, while ripples on the surface serve as clouds. The 20-liter tank includes red cherry shrimp. Cheryl Rogers, the president of the Aquatic Gardeners Association (AGA), says that competition can be addictive for some. "Most aquascapers of winning caliber create a layout, grow it to peak in a few months, snap the photos for competition, then tear it down and create a new one," she says. "This is what they do for fun." The title says it all. 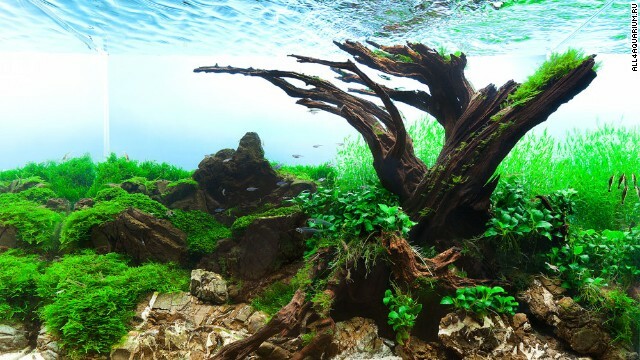 Polish aquascaper Pawel Iglewski designed this tank around an old tree, using plants like flame moss, Java moss and Riccardia chamedryfolia. 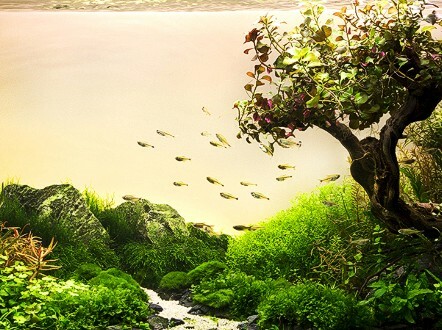 This tank by a Turkish aquascaper finished third at the 2013 Planted Aquarium Design Contest. "It is [an] incredible combination of negligence (in the good meaning of the word) and extreme attention to detail," one juror wrote. It does not contain any fish. This Russian aquarium features several large rocks. Karen Randall, a board member at the AGA, says it is important for aquascapers to think of "hardscapes" around which to build their designs. "In the terrestrial garden, the gardener usually has to think more about the natural terrain he or she has to work with," she says. "The only thing we start with is 4 glass walls." The Titan Prometheus gave humans fire, but this 200 liter tank could put out the flames. 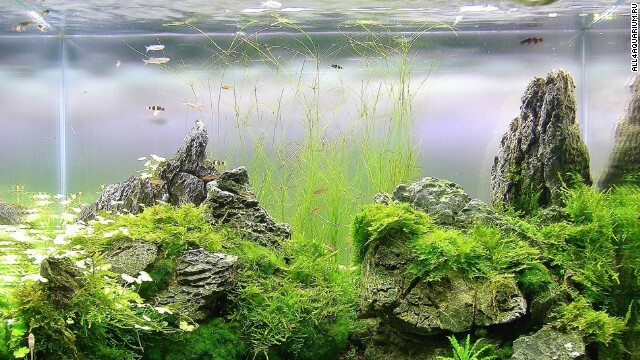 A Ukrainian aquascaper filled his aquarium with twenty different plants, including queen, phoenix, and stringy moss. 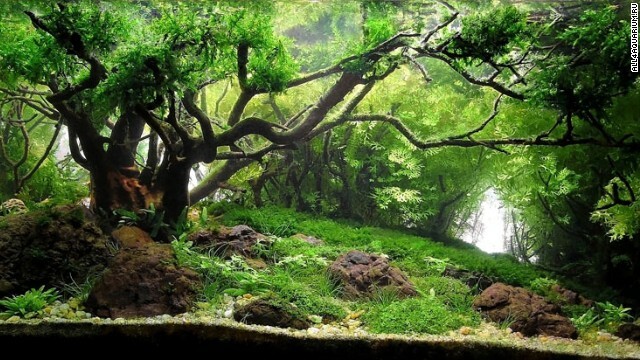 This three-month old tank recreates greenery of the Carpathian Valley. In addition to a variety of plants, there are four species of fish, including the glowlight tetra and amano shrimp. 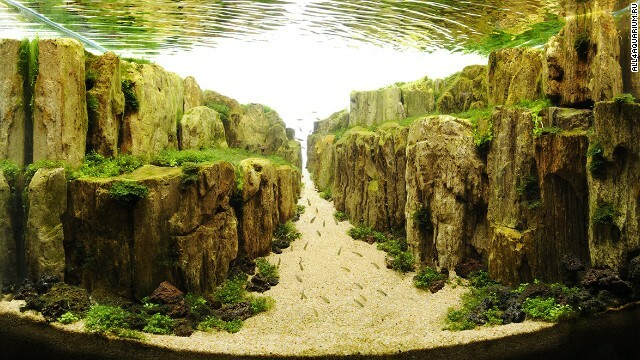 Aquascaping in Hungary has experienced a boom in popularity and design, as seen in this Hungarian tank. The growth of the hobby stems partly from the arrival of stores like Green Aqua that give locals access to new materials and plants, which were previously unavailable. 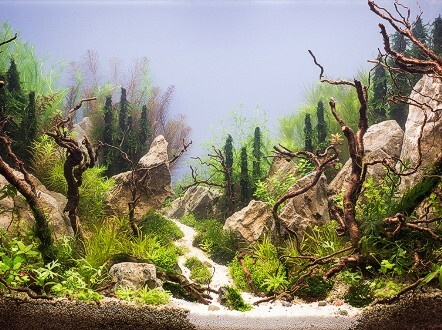 A Turkish aquascaper used five plants, including flame moss and rotala mexicana, to create this beach scene. Catfish and rasbora in the tank swim along the faux shore. This depiction of an Asian valley comes from an aquascaper in Mlawa, Poland. The tank houses ten different animals and seven different plants. "Pilgrimage", by Shintaro Matsui from Japan, which came in fith place at the IAPLC in 2013. Aquascaping requires careful timing. Different plants come into bloom at different times, so designers must plan their tanks well in advance of any competition. 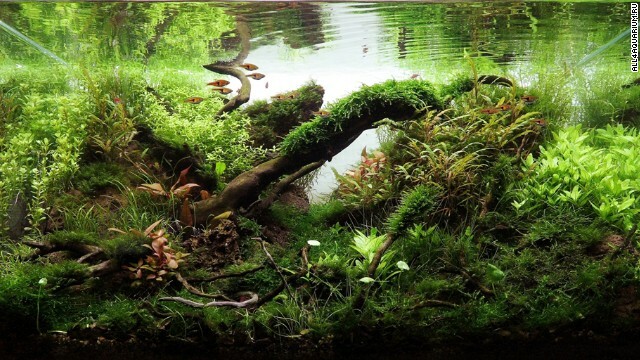 Entitled "Stepping out into the valley", this tank was photographed six months after its Latvian acquascaper started it. (CNN) -- When it comes to pimping out a fish tank, a novice might purchase a bag of brightly colored gravel and a few plastic ornaments. For Dan Crawford, a founding member of the UK Aquatic Plant Society (UKAPS), that simply will not do. He and a growing number of "aquascapers" are creating underwater marvels that require knowledge of biology and design—not merely kitsch fish trinkets. Using rocks, wood, fern-like plants, special lighting, and plenty of creativity, they are dreaming up seascapes that would leave Poseidon in awe. 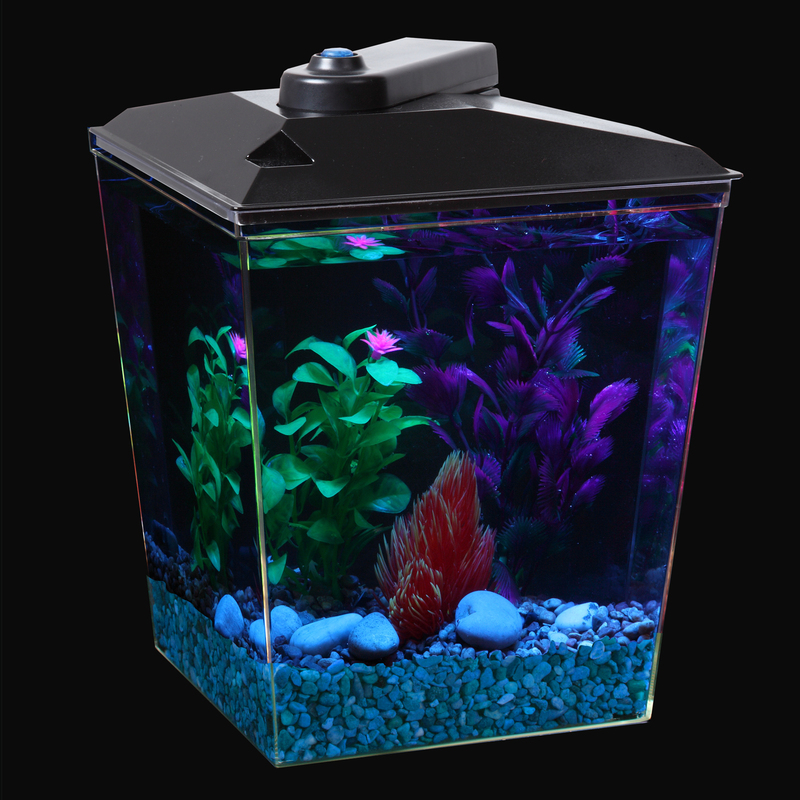 "For me aquascaping ticks a lot of boxes," Crawford says. "It's relaxing, it's artistic, it's scientific and when done correctly it creates a piece of living art." 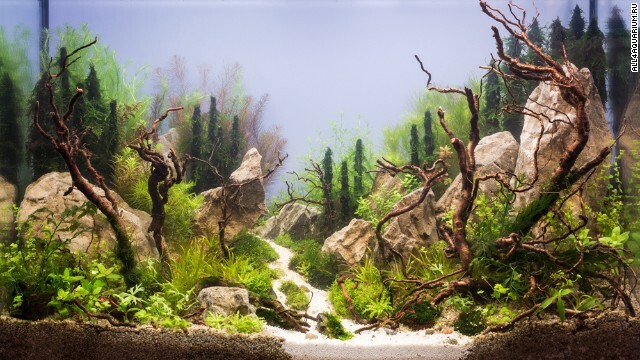 For competitive aquascapers, their art goes on show at international aquascaping contests like Russia's International Planted Aquarium Design Contest and the International Aquascaping Contest put on by the Houston-based Aquatic Gardeners Association (AGA). Competitive designs may invoke the Wild West and include submerged cacti, or recreate the taiga of Russia, the valleys of China, or even lost beaches. Cheryl Rogers, the president of the AGA, says the desire to innovate leads to a familiar pattern among aqua gardeners. "For purposes of competition, most aquascapers of winning caliber create a layout, grow it to peak in a few months, snap the photos for competition, then tear it down and create a new one," she says "This is what they do for fun." 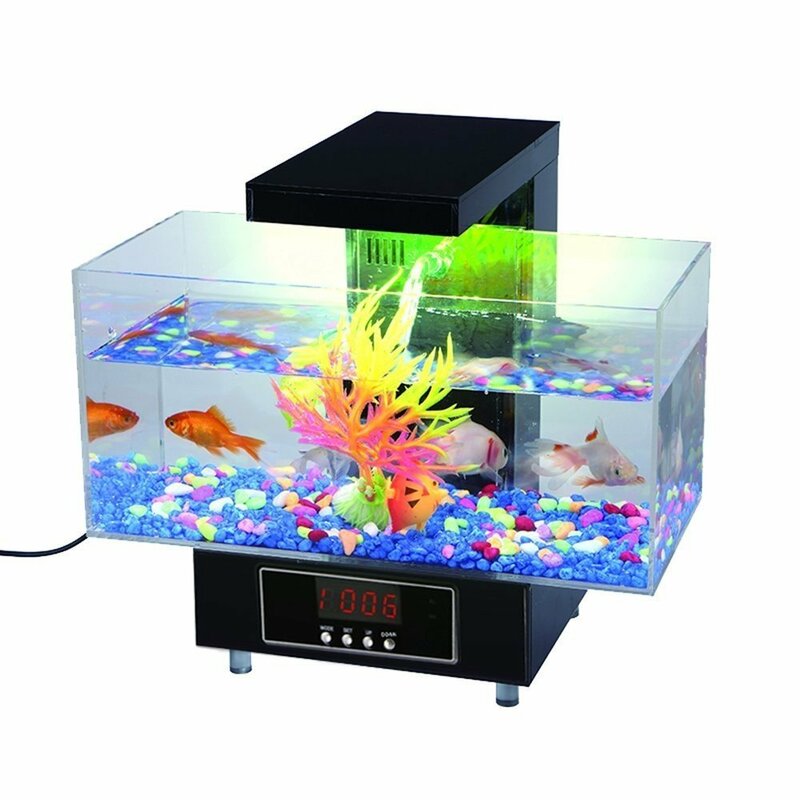 Interest in aquascaping is particularly strong in Asia. Takashi Amano, the noted Japanese landscape photographer, helped popularize the hobby in Japan in the mid-1990s with his three-part book series Nature Aquarium World. Westerners have been slower to latch onto the pursuit—and are often seen as slightly kooky when they do. "It's a very specialized hobby and because of this it's rare that you'll bump into a fellow aquascaper in the local pub or coffee shop," says Crawford. "Generally we will convene at a chosen Aquatic Shop for a chin wag and a look around then move on to the pub to talk about the latest trends and 'scapers." 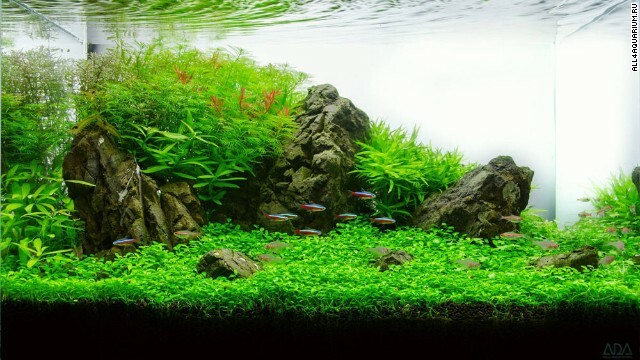 It takes from four months to a year for an aquascape to mature. 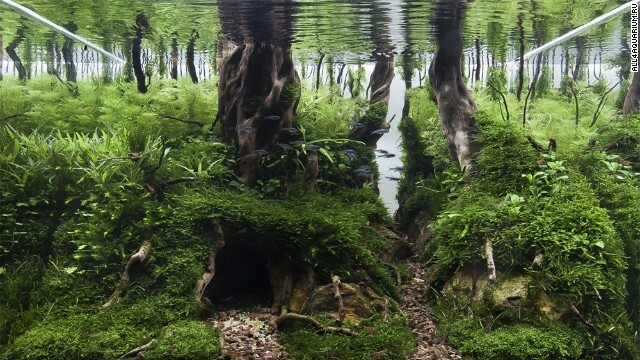 The one pictured above includes 17 types of plants and two species of tropical fish. But today the Internet is helping grow the activity. Web sites connect existing enthusiasts who exchange tips and tricks, and help newbies learn the basics of building their very own marine masterpiece. Started eight years ago, the UKAPS web site now clocks more than six million page views per month and has 9,000 registered members. 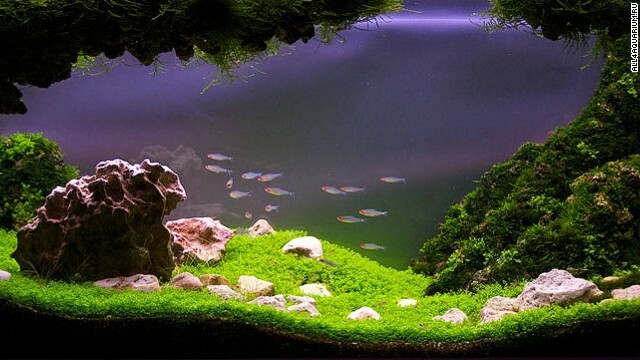 In the online forum they discuss topics like the best water filtration systems, appropriate lighting, why their shop-bought plants are failing to flourish and how to add Java moss to an aquarium. Sometimes it's a matter of life a death. As one user recently asked in the forum: "Does copper in fertilizer kill shrimp? 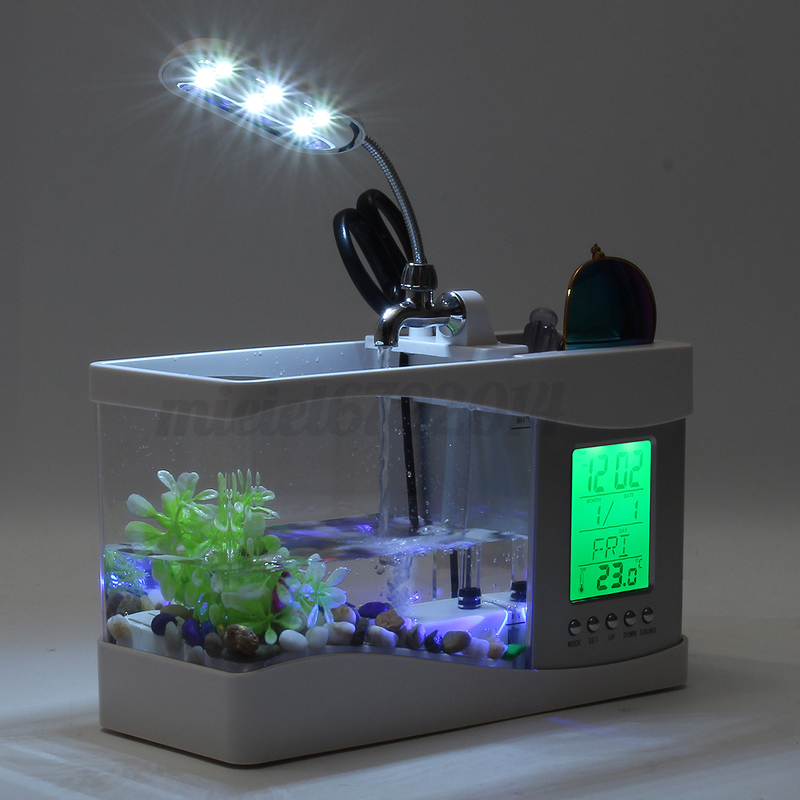 Suppliers are also waking up to the opportunities to cater to the aquascaping community. Read more: Life of a muse: What is it like to inspire art for a living? Rogers of the AGA says these retailers are helping aquascapers source the plants and materials they need to make their gardens grow. "Unless you have a local pet store in your area that specializes in our little corner of the hobby, it's difficult to find quality plants, or new plants, or rare plants," she says. "So we get our plants from other hobbyists and online retailers." 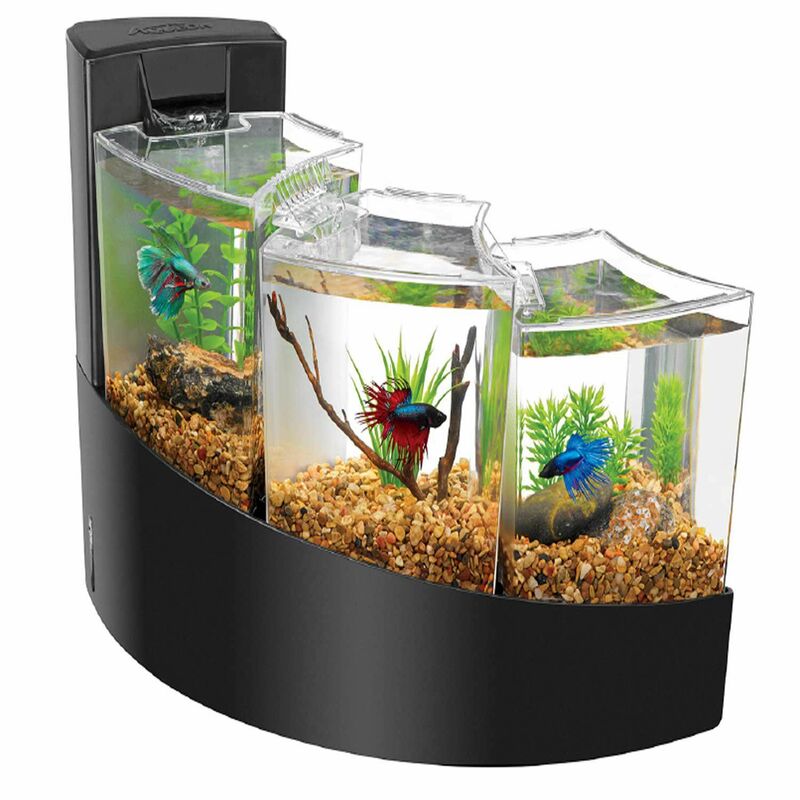 Master aquascaping requires a lot more than goldfish and plastic rocks. Among other things, enthusiasts must stock their supply cabinets with algaecide products that help control green water and systems that supply plants with the carbon dioxide they need to stay alive. Mastering the hobby takes time. 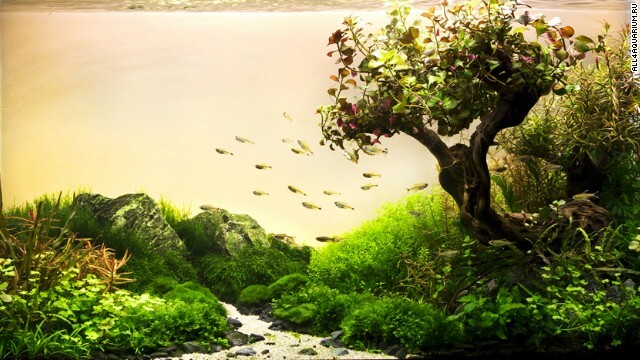 Karen Randall, an author who has judged several international aquascaping competitions, says that aquascapers approach their work like any other artist would. They have to think about the rule of thirds, areas of negative space, and how best to utilize colors, texture and form. Rocks and wood formations create the "hardscape", which is used to support the plants in the aquarium. The hardscape also helps set parameters for the rest of the design. "In the terrestrial garden, the gardener usually has to think more about the natural terrain he or she has to work with, along with large trees and buildings, and work those into the design," she says. "In aquatic gardening, the only thing we start with is four glass walls." Judging art is always subjective. But competition organizers do their best to ensure fairness and impartiality. 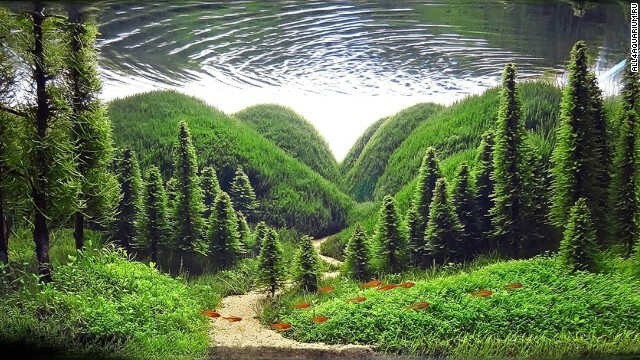 It is hard to believe that this wild landscape is inside an aquarium made by a particularly skillful Russian aquascaper. For the Planted Aquarium Design Contest 2013, organizers brought together an international jury of nine aquascapers and aquarium designers from countries including the Czech Republic, Poland, and Turkey. Judges praise and criticize aquariums in equal measure. Critiquing "Charm of light", a tank submitted by a Turkish aquascaper, one judge applauded its use of back lighting and left side reflection. He still saw room for improvement: "White gravel and shape of small stones is inconsistent with bigger rocks and forest soil layer in nature. 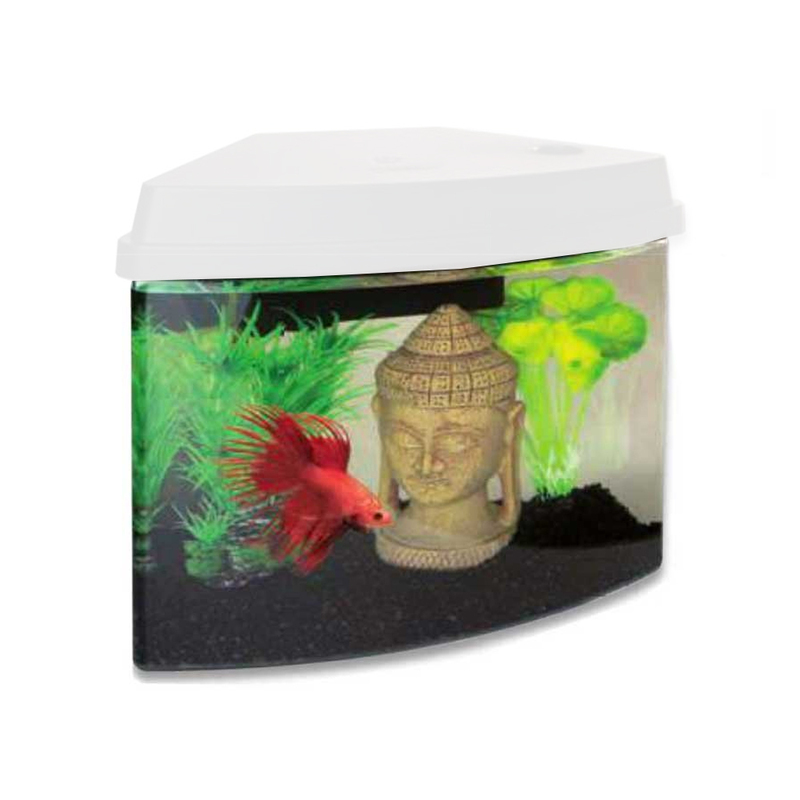 I would like to see some fishes or invertebrates in this tank." Competitions promote interest in the hobby and give enthusiasts a platform to share their love of aquariums. 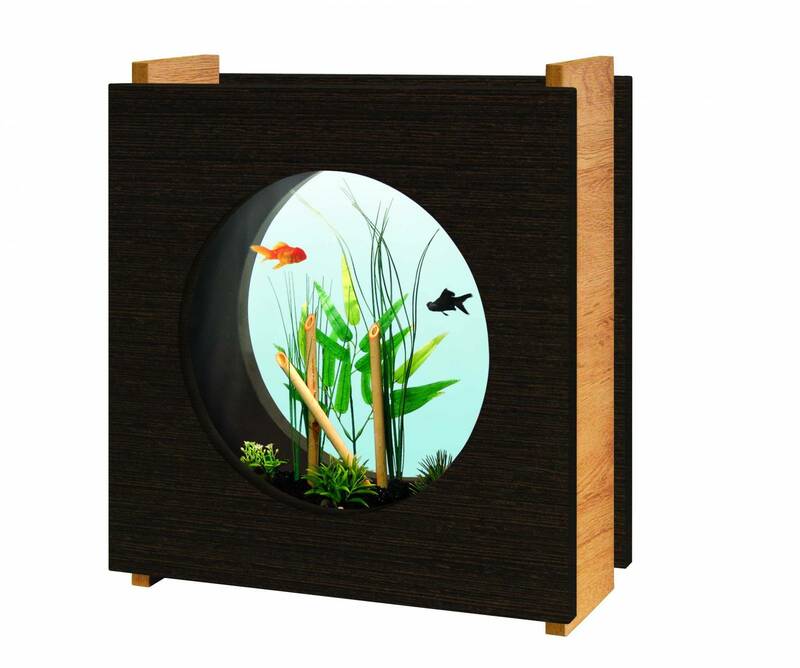 But aquascapes don't have to impress a jury to create a sense of Zen. "You can have a lovely planted tank in your living room that pleases you, even if it would never win a competition," Rogers says. "Most hobbyists are not competitors. They just like plants."